Travelling to Cyprus is an enjoyable adventure, especially since food is not a problem. 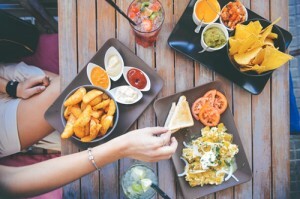 There are various restaurants where you can eat local and international fare or better yet, order food online to get your meal at your doorstep. Food delivery is common practice all over Cyprus, providing everything from home-style food to fast food and even party food. People usually order food online because it is obviously convenient and the choices are copiously offered. There is a plethora of kitchen magic readily available and all that you need to do is to think up what you want to munch on at the moment. The best foods to order online are widely varied. It actually depends on your taste and preference. However, we listed some delectable suggestions here to give you an idea how vast your choices can be. Certainly, since it is easy to order food online, you have no reason to get hungry in Cyprus. Cypriot cuisine is pretty interesting. It took significant inspiration from Turkish and Greek food. It is not surprising to find both among those who provide food delivery in Nicosia and other regions. Through the years, food greatly adjusted to please varying palate so people who come and go would not have a hard time taking pick. As such, Cypriot cuisine was caught in the crossroads of European, Asian, and African fare. One of the most popular Cypriot foods that you can order easily online is Halloumi. This local cheese is a mix of goat’s and cow’s milk, has a high melting point that made it ideal for grilling, and is fairly distinct with a rubbery texture and a mild, salty flavour. It is a favourite appetiser, often fried (when it’s not grilled) or served cold with other cold cuts and fresh fruits. Another interesting and enticing dish that is perfect for online food ordering is Souvlaki, Cypriot style. This spin-off of the famous Greek recipe features a serving of skewered meat, fresh salad, lemon quarters, pickled green chili peppers, and a pita bread pocket to hold it all together. There are fairly unique differences between the Cypriot and Greek versions. Greek Souvlaki is often served with a thinner pita bread and instead of putting the filling into the pocket, they are wrapped together. Cyprus also has an interesting version of Baked Macaroni in which they used large pasta tubes, minced pork, béchamel sauce, and anari cheese. They are served in squares to reveal the dramatic layering, together with a side salad for a complete meal. Travelling to Cyprus is an enjoyable adventure, eating is even more. When in Cyprus, consider trying their must eats and have them delivered. Check out https://eattoday.com.cy/. Tourists come to Sydney for its natural attractions and that includes parks and gardens with stunning landscape designs. Landscape designers in Sydney work cooperatively in bringing Sydney’s parklands a perfect place for outdoor activities like cycling, horse riding,’ picnics and plain strolling. Since it’s next to Sydney Opera House, tourists are treated to free guided walks, and its beautifully manicured grounds offer great place for some quiet time or taking snaps at the Harbour Bridge or Sydney high-rise buildings. The HerbGarden’s sandstone pavilion is conceived for weddings with landscape design conducive to grand Sydney weddings. Tourists can spend whole day exploring several featured gardens inside the sprawling 34 hectare open space such as Begonia garden, Oriental garden, Rainforest Walk, Palm Grove and Australian Native Garden. The Palm Grove Garden has magnificent collections of old and gigantic trees like Mahogany perfect in providing shade and serene landscape. 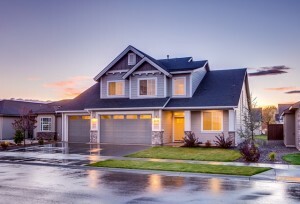 Private homes in Sydney are definitely copying the ambience for less by simply hiring Sydney’s affordable landscapers. The garden is a creation of a professional landscape design. The lady, Wendy Whiteley is now considered as one of the outstanding landscaper designers in Sydney. Tourists come to see and enjoy its painting-like surroundings framed by hug fig tree. It also overlooks Harbour Bridge and a great place to view CBD’s gleaming skyscrapers and the dark blue waters of the harbor. Wendy’s secret garden sprung from an idea of creating a living ecosystem and its eco design involves a lot of planting. 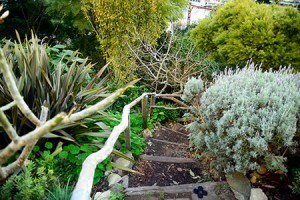 The garden is now being leased to North Sydney Council and it charges a small fee that goes to its upkeep. Wendy’s garden is now a popular location for Sydney’s garden weddings. One of the attractions of Hyde Park is the Archibald Fountain. Landscape designers in Sydney agree to the fact that its shady avenue reflects certain aspirations and the colorful vistas and express its heritage and historical past. Archibald Fountain is strategically positioned at the northern and most populous end paving way for tourists to discover and explore Sydney historical and important monuments and in additional highlighting its character and landscape design. Tourists have many gardens and parks to enjoy while in Sydney. They can choose a garden that suit their mood and activities such as picnics, strolling, horse riding, cycling or just finding some quiet time. Sydney’s gardens ad parks are living artworks that offer peace, beautiful walking pathways and landscapes and perfect picnic spots. Each is a testimonial of artistic skill and talents of Sydney’s landscaping artists and designers. Have you been to Thailand even once? You surely fell in love with the sceneries and culture of the tourist hub spot. However, this country isn’t for that only anymore. Thailand hotels are redefining the meaning of hospitality with their unique blend of luxury and comfort. Bangkok accommodations are certainly the primary places popping in your mind when you hear staying in Thailand. There isn’t any doubt about that because those have offered quality services for a long time already. 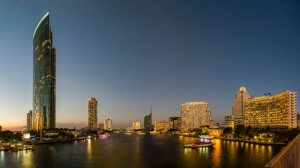 The shopping centers, tourist attractions, and other activities are the main lure of Bangkok. Being the main city, it is necessary to find a sleeping area in it. With these easy to navigate places, you have more time to go from one place to another. Convenience will not be the only thing that will capture you when you go to Bangkok. Supposedly, the Thai hotel’s accommodations were refitted to give more incredible services and exciting entertainments today. When you enter the place, you will have a sudden jolt of extravagance in the hotels’ façade. Then, you will be greeted with the finest Asian guest experience. The employees are presently much well trained to deal with your needs. The rooms are something to behold too. Most of them are already modernized with better beds, decorations, and others. You will definitely find immediate value with what you paid for it. Other Thailand hotels also have stricter security system nowadays. 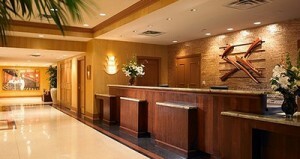 It is necessary for any hospitality business to do this but it got more upgrades with the newest technology. Meanwhile, Bangkok isn’t the only place slow gathering loyal guest in Thailand. The present famous Chiang Mai hotels are Ping Nakara Hotel, Rachamanka Hotel, and Zensala River Park Resort. All the Chiang Mai Thailand hotels strive to bring out the best of their location. Hence, they try to redefine luxury and comfort with their business. Investment is the word the hotels revel in this time. The accommodation owners know that they need to sell quality if they want clients. Everything is made in details to fully optimize the service they provide. It may be about the landscape, food or the guest relations. For better things, the change is something travelers must take advantage. The super-rich isn’t notably the only ones that can experience extravagance when staying away from home today. 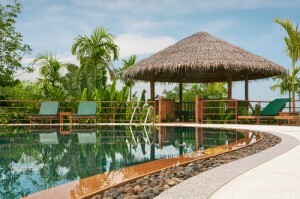 Experience a combined luxury and comfort in Thailand hotels and accommodations. Check them out at http://thaihotelaccommodation.com.au/. There are so many reasons to visit Thailand. If you are planning to hold some celebration, this may be the perfect destination with so many luxury villas for rent in Ko Samui available all year round. Thailand is one of the countries that boasts of a rich heritage and culture, made even fancier with the presence of modern landscapes that beautifully meet the breathtaking natural and historical sites. You and your family or friends will never run out of interesting things to do when you decide to stay in one of the Phuket villas. This place is sometimes dubbed as one of Asia’s tourism gems for a reason. Being in one of the luxury villas for rent in Ko Samui means the ability to delve into some sort of adventure with every stop or turn in Thailand. When people hear of Thailand, people can’t help but think of wonderful Phuket because of its offering of beautiful coastal treasures. A stay in Thailand will never be complete without trying out one of its luxury villas for rent in Phuket. In these accommodation options, the more the merrier. With several bedrooms in the villas, you can save on accommodation costs and even choose to have a private party. These are often endowed with a pool and a wide living room. There is bound to be a wide space for a small celebration. And, the fun does not stop at the villa. Phuket is lined with other getaway options that offer exhilarating and action-packed activities. Phuket is said to the best destination for the party goers who want to enjoy a wild party. But of course, Thailand is also a great destination for the shy people out there. If you think Phuket is a little bit too busy for you, you can always book one of the Ko Samui Villas. Beaches in this location are said to be much quieter, perfect for romantic getaways and other private celebrations. Just like in Phuket, they also have nice beaches in Ko Samui, some of which offer a perfect view of the Gulf of Thailand. So why celebrate and booking luxury villas for rent in Ko Samui Thailand? Just think of the costs – compared to hotels, you can save more when you book a villa. On top of that, this can provide you a space to hold a small celebration with your family and friends on top of the accommodation. You also get to stay in a country that offers beautiful sights and wonderful adventures. It’s a deal that you won’t easily find anywhere else. There are a lot of interesting countries to go through if you want to take a vacation, one of them is Indonesia. This interesting place is known for its luxurious villas and wonderful beaches. In Australia, there are a lot of travel agencies that can give you a list of wonderful villas in Bali. Bali offers an exotic getaway for you and your family. The place allows you to immerse with Indonesian culture that is a mix of modern and old beliefs. It has a very calm environment that allows you to relax and have fun all at the same time. There are villas in Bali that will welcome you with open arms. These villas have hospitable staff that has welcoming smiles. These villas have the proper blend of modern and traditional architecture that has elegant designs. In Bali, there are five beaches that you can visit which are, Kuta-Seminyak, Sanur, Nusa Dua, Jimbaran and Uluwatu. There are also smaller beaches that offer fun activities like snorkeling and surfing. There are also villas in different parts of the company. The most popular are the villas for rent in Seminyak that you can stay at an affordable rate. Seminyak is a vibrant place that is known for its fine dining and nightlife. Along the beach, there are a lot of hotels and villas in Seminyak. It is a place that makes you become one with nature. If you are fond of clubbing, the nightlife scene in Bali is very much alive. There are a lot of cool clubs in the place that plays EDM Music that can keep you dancing all through the night. However, if you are not into clubbing, there are also lots of amazing restaurants you can try out. Actually, there are villas in Bali that are near restaurants. You can eat amazing seafood, organic vegetables and tropical fruits in Bali restaurants. These restaurants do not only serve Asian cuisines but also European cuisines as well. If you’re really into good food, you could also go to Canggu beach. It is known for its wonderful cafes, restaurant, surfing schools and beautiful sunsets. 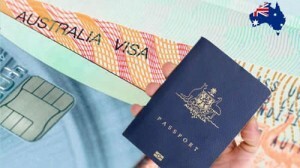 There are Australian travel agencies that offer villas in Canggu at an affordable rate too. These travel agencies will let you stay at a home with a first class concierge service. Some of them also offer sitters, nannies and drivers to help you visit the local attractions smoothly. With everything that is said, Bali truly is a magical place that everyone should visit. Make Bali your most unforgettable getaway. Choose a villa to stay. Visit https://www.baliholidayescapes.com/. As a hotel supervisor, it’s up to you to make the right decisions when it comes to the look of your hotel. This is why when you’re looking for office furniture in Brisbane, you should take a step back and consider what you want when it comes to your office. You want to present a professional yet welcoming atmosphere to any potential visitor. However, there are several factors to consider beyond that. Here’s a short list. The first thing to consider for office furniture in Brisbane is the look that you want to convey. There are different ways to go about. For example, there’s the traditional wooden look. You should be familiar with this if you’ve ever been in an old-school office. This has all wooden furniture and solid desks. It has that trustworthy atmosphere that says whoever holds the office knows what he is doing. It’s an approach that never fails and works flawlessly. However, office furniture in Brisbane hotels should go beyond that basic look. After all, as a hotel, you want to present that you’re hip and cool. That’s why you may want to work with an interior designer to help design the ambiance of your room. The right set of furniture can present a different feeling to visitors. For example, you can go for an ultra-modern look that uses plastic, glass , and steel a lot. Another concern for office furniture in Melbourne is comfort. You’ll be having visitors to your office regularly. This means you want them to be comfortable to sit down and talk with you. Regularly meetings take hours so that means you want chairs and sofas that don’t make your guests uncomfortable. You should also consider yourself. Your office chair is where you will be working for most of the day so you’ll want something comfortable. The other factor you should consider is functionality. You’ll want furniture that works. For example, steel storage closets ensure that your files are protected from a wide variety of dangers. Pick furniture that you can use well in your job so that they don’t just act as decorations. Finally, you’ll want to consider your budget. As a hotel supervisor, you’ll want to dedicate a piece of your budget to functional furniture so that your guests and your employees are working with good office furniture. Be reasonable though and set a budget that lets you buy good quality furniture. Pick the right furniture fit for your hotel office. If you got the love taking a tropical vacation, and love spending most of your time in the water, you can always enjoy Asian tropical destinations and coupling it with excellent tropical hotel accommodation truly makes it awesome and unforgettable. 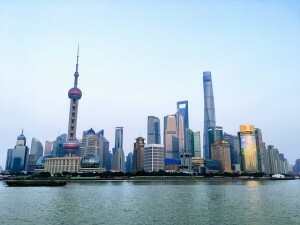 In Shanghai, you can enjoy its tropical weather and other places that aren’t all sand, sun and party night especially when you stay in Shanghai hotels near the Ancient Watertown. You’ll have lots of photo opportunities in this old ChineseCity and truly enjoy Ancient Chinese culture. When in Shanghai, don’t miss riding the bullet train Shanghai Maglev. To ensure you catch a ride, book a room in Shanghai hotels located along Xintiandi. Most hotels here are close to shikumen or the traditional stone houses that are converted into upscale shops. Luxury hotels in Shanghai offer elegantly designed rooms complete with all the comfort and amenities of world-class hotel while offering oriental hospitality. When you book a room, expect to live and be treated like a king or queen while enjoying a deluxe home away from home. Like other hotels in Asia, five stars hotels in Shanghai host funky chic bars to cap the night away or to mingle with fellow Shanghai travelers or with the locals or just to listen and enjoy live bands. In Myanmar, there are pretty views of pagoda and temples standing proud and mighty, and Bagan, which is the country’s largest and world’s most photogenic plain is the best to start your Myanmar journey. While staying in Bagan, wake up seeing the beautiful sunrise from your Myanmar hotels that have rooftop views or terraces. Enjoy the breathtaking views of Shwe San Daw Paya temple or Ananda temple that can be seen from afar. Bagan hotels offer Burmese hospitality and with Burmese people being conservative, you’ll find polite and honest staff rendering high quality hotel services. They’ll be happy to perform any task without taking money. Unlike the ultra modern Shanghai hotels, hotels in Bagan are moderately modern but still with the kind of luxury similarly with other tropical hotels. Brunei is a favorite stop-over destination. This tiny oil rich sultanate is proud of its culture and magnificent people. You’ll discover Brunei to be sufficient in all types of accommodation from the luxury to cheap and budget Brunei accommodation. There are also suites residences that are like small apartments with furnishings like sofa, kitchen, and washing machines with friendly and helpful staff. Luxury hotels outside the city have golf courses as main attraction and free shuttle service for transporting guests around the city. For a tropical vacation, stay in tropical hotels and enjoy everything that is tropical.